This is the first time that WEMS has rolled onto Nine Mile Recreation Area near Wausau, WI and we are looking forward to the new addition. 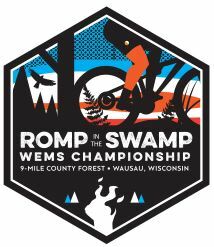 The venue is made possible with volunteers from the Central Wisconsin Off-Road Cycling Coalition (CWOCC) which is the local IMBA chapter. Late Season race so light is an issue and that is the reason for earlier start and finish times. NOTE: This race is following a 24 hour format so your last lap must be STARTED before 5:00pm and you must FINISH after 5:00pm. There will be a shorter course (around 7.5 mile loops) for the 3 Hour Solo, 6 Hour Duo, and 9 Hour Teams. The 6 Hour Solo, 9 Hour Solo, and 9 Hour Duo will do a longer course (around 14 mile loops). Much of the course will be on singletrack with some areas double track and a few hills on the longer course. There is lots of space for camping along and near the course, for a simple fee of just $15 per spot to help cover permit costs. The amount above will cover for both Friday and Saturday nights. All awards will begin at 7:00 pm for the event, followed by the overall Series awards for all series racers who have competed in the same division for 4 or more races in the series. Swag will also be given out to Series racers via raffle tickets. Each series racer will get 1 raffle ticket entry per each WEMS race that individual has done or volunteered at. We will have a limit quantity of Sport-Tek (moisture wicking) t-shirts for sale. One shirt for $15.00 or Two shirts for $25.00.